Is it a surprise that Texas Governor Greg Abbott is opposed to the Houston Equal Rights Ordinance? Not exactly, especially given his long record of being against LGBT Texans, equality in general and local control for cities. 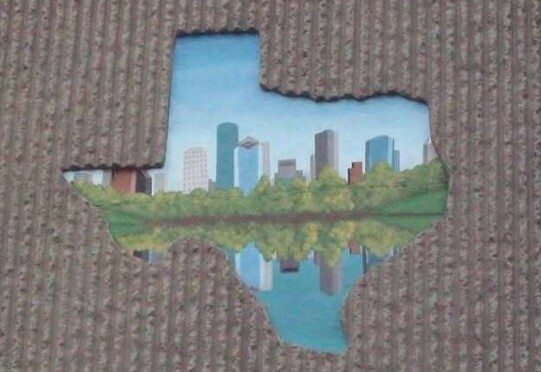 But in his effort to stoke the flames of fear and falsehood, our esteemed Governor left out one small detail about the irony of his opposition to Houston Prop 1… his current place of residence. 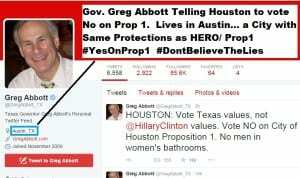 So umm, if the Governor and his family have resided safely in Austin for over a decade (assuming during that time that they also used restroom facilities), then why is it such an atrocity for Houston to implement similar Equal Protections? Anytime you’d like to respond Governor, I am all ears. 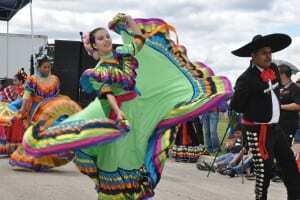 It’s American tradition that Labor Day marks the unofficial “end” of summer (if such a thing can exist in Houston) and the start of high campaign season. 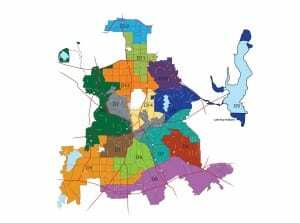 Though there’s not a Presidential or Gubernatorial race on the ballot this year, this holds true for residents of the Bayou City. 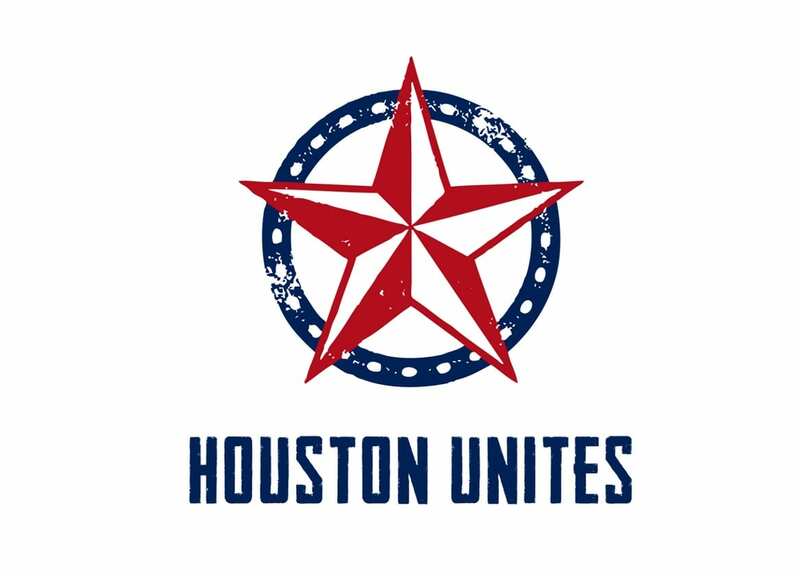 Houston Unites is the coalition working to elevate the diversity of voices supporting HERO. 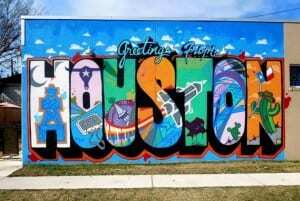 No Houstonian should be discriminated against based on race, age, military status, sexual orientation or gender identity. That’s a core value Houstonians share, and that’s why HERO’s passage a year ago was supported by more than 80 current and former elected officials, community and non-profit organizations, major corporations, and more than 70 local faith leaders. In the most diverse city in America, we believe that everyone should be treated fairly, no matter who they are. 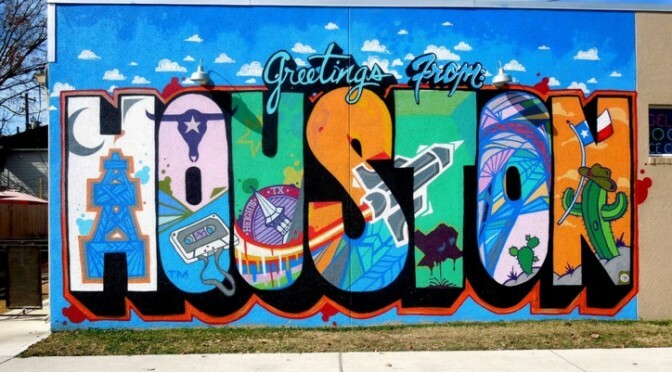 That’s a core value Houstonians share. 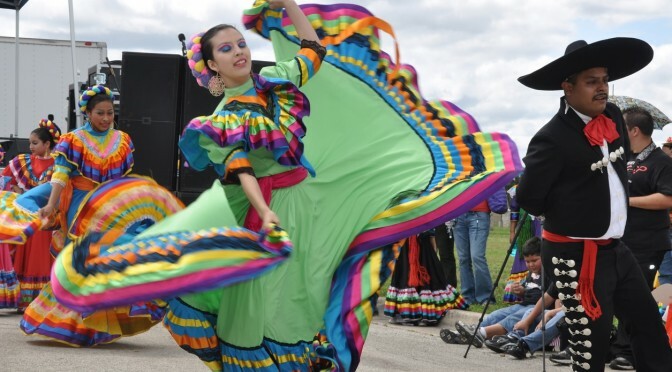 Facing a mountain of money from the opposition, it’s going to take lots of hard work and dedication to energize and turn out voters who will support Proposition 1… the ballot measure which will either uphold or defeat the Houston Equal Rights Ordinance. But if the first field event was any indication, the Houston Unites group is up to the challenge. In just a few hours, ‘HOUniters’ knocked over 1,200 doors and placed 6,000 phone calls all encouraging voters to show up on Election Day and vote Yes on Prop 1. Even with the money disadvantage, commitment like theirs is going to be tough to beat. This Election Day, be sure to Vote Yes on Proposition 1. And if you’re like me and prefer to do your voting ahead of the longer lines, check out this year’s Harris County Early Voting information. Early voting for the 2015 Elections runs from October 19th through October 30th. 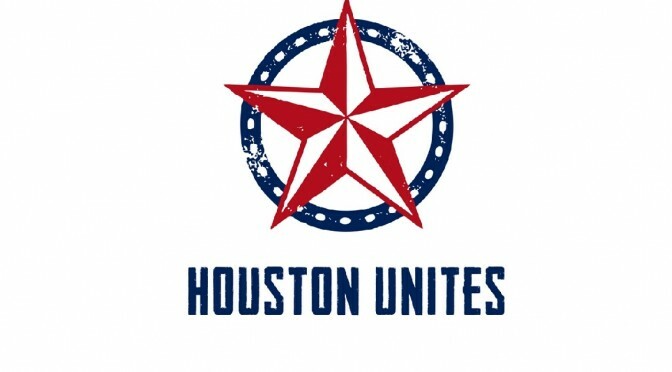 But before you hit the voting booth, consider volunteering with the Houston Unites campaign. 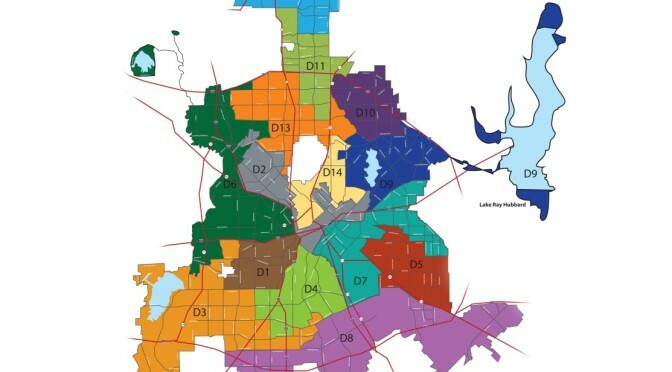 Every hour that you can commit to knocking doors or making phone calls will bring Houston closer to having needed local protections from discrimination, and truly being the city that all Houstonians deserve. 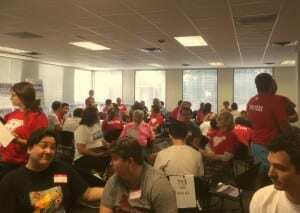 On September 5th, over 150 volunteers gathered to campaign for Houston Unites and encourage voters to vote yes on City of Houston Proposition 1. 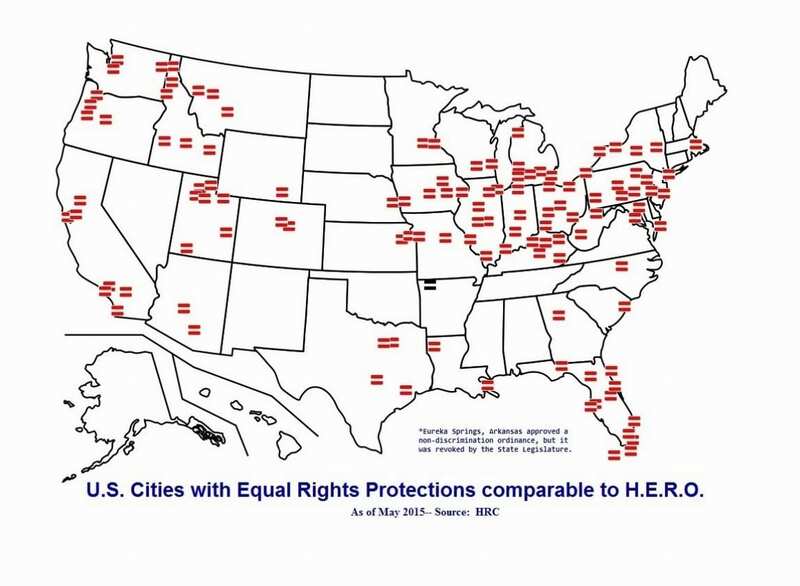 Wait… How Many Cities Have Equal Rights Protections Just Like H.E.R.O.? The short answer… a whole bunch. This Fall, the city of Houston will be bombarded with campaign ads claiming false information about the Houston Equal Rights Ordinance. You know ads like this one that just hit the airwaves recently. Opponents of Houston’s equal rights ordinance released a one-minute radio spot Monday that targets women voters, hitting the airwaves first in what’s expected to be a heated and expensive campaign over the law that will appear on the November ballot. The ad features a young woman talking about the perceived threat to public safety the ordinance presents. Critics have long seized on the idea that the ordinance, a broad non-discrimination law that includes protections for gay and transgender residents, would allow male sexual predators dressed in drag to enter women’s restrooms. Huckabee’s claims notwithstanding, the ordinance doesn’t put women and girls at additional risk of being harmed by sexual predators, according to experts who’ve studied “bathroom panic” as it relates to transgender people. There are no reported cases of transgender women assaulting anyone in public bathrooms after anti-discrimination ordinances have passed anywhere in the country. And, as stories like the headline-grabbing incident in New York last April make clear, a predator who plans to sexually assault women in public bathrooms doesn’t need to wear a disguise to do it. 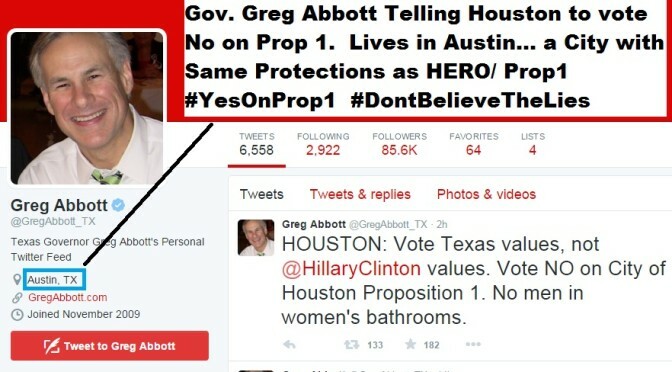 To be clear, the Houston Equal Rights Ordinance is a local protection for all Houstonians. While it’s true that pregnant women (for example) are protected by federal and state laws against discrimination, what opponents don’t tell you is that it is far more expensive to lodge a discrimination claim through state and federal channels than it is to have the city investigate claims at the local level. HERO is not simply a duplication of law. It is putting access to local protection within reach of many in our community that don’t have the money or time to file a federal case. It is for all of these reasons that cities and counties across the United States have taken similar actions. Stating that fact over and over again is important, but sometimes it helps to have a visual. 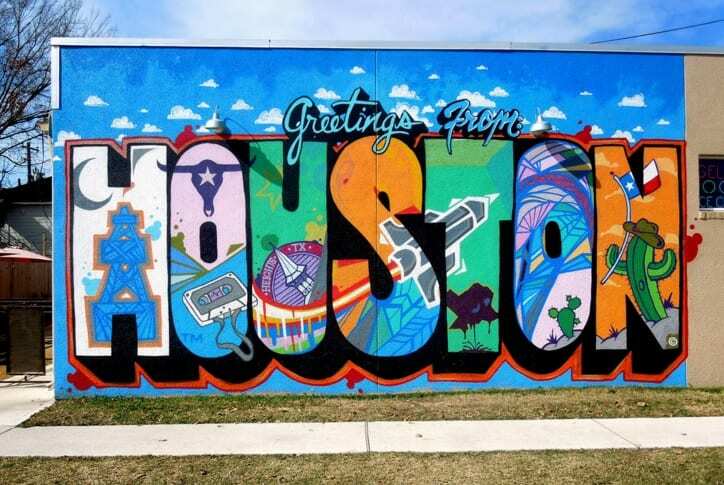 If Houstonians knew that every time they travel to New York, Dallas, Shreveport or even Disney World in Orlando, they were going to another city that offers these same protections, such information could help to break the stigma HERO opponents want so desperately to create. 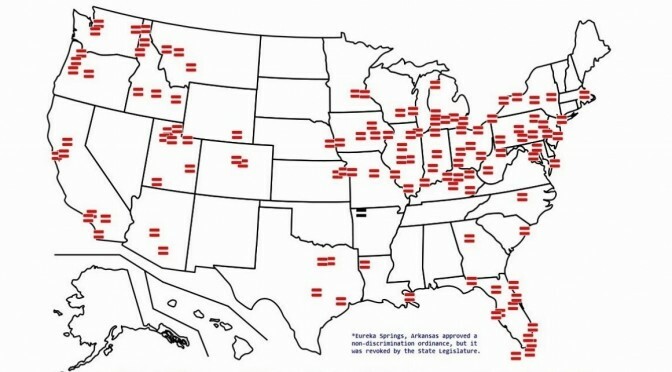 Texas Leftist has compiled a graphic showing all of the cities and counties that have passed comprehensive non-discrimination ordinances (also known as Human Rights Ordinances or Equal Rights Ordinances) with protections on par with the Houston Equal Rights Ordinance (Data source: the Human Rights Campaign). Before Houstonians vote this November, they should get a clear picture of just how important, yet commonplace the protections in H.E.R.O. are. Have you ever visited (and by proper assumption, used restroom facilities) in any of these American Cities? If so, share this post and help combat the many lies being spread about HERO. 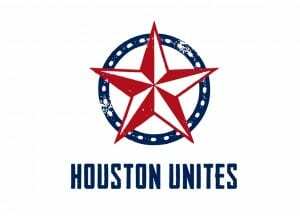 Also, don’t forget to join the cause to protect HERO with Houston Unites. It’s now more important than ever. This October and November, Houstonians will decide the fate of the Houston Equal Rights Ordinance by a vote on Proposition 1. Election Day 2015 is Tuesday November 3rd, and Early Voting runs from October 19th through October 30th. Check out this year’s Harris County Early Voting information for locations and times. 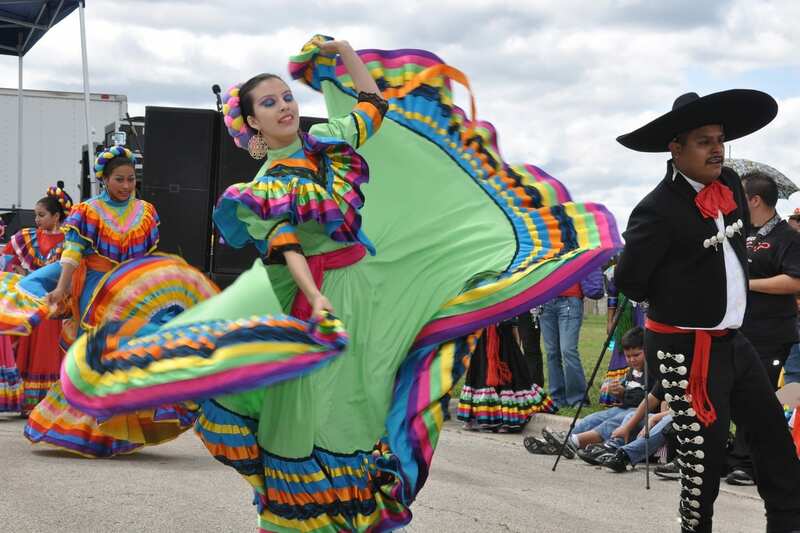 By the way, some cities like Las Vegas, Nevada or Santa Fe, New Mexico are not listed for having local Equal Rights protections, but that may be because they are in one of 17 states that have enacted non-discrimination laws, thus protecting residents. In other cases like Los Angeles, the city has still chosen to pass local protections even though they are in a state which offers them.